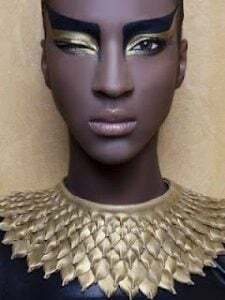 We had always believed that Cleopatra, genius that she was, wore her signature smokey eye makeup to make herself look more powerful and attractive. However, French researchers have recently learned that this makeup also contained small amounts of lead used to fight off mortal eye infections. This makeup would have taken at least 30 days to concoct, now that’s commitment to cosmetics! Our reasons for wanting to re-create this amazing look are thankfully not quite so life-threatening. Give yourself a beautifully powerful look with our collection of amazing makeup how to’s inspired by the earliest trendsetter of all. This is the Cleopatra makeup look at it’s most simple. No color, just that gorgeous, striking eyeliner that gives your eyes a look of strength and power! This is a great look if you want to wear this trend in a slightly more subtle way that doesn’t require too much skill using various eyeshadows. 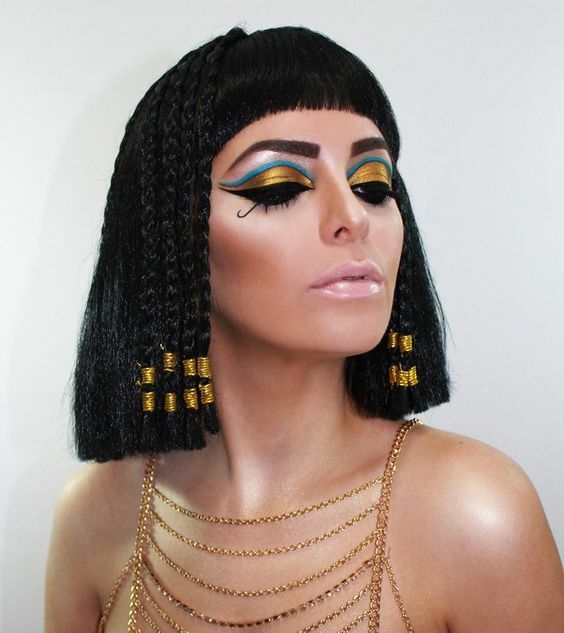 This will also form the basis of all of your Cleopatra makeup looks so it’s a good one to perfect early on! Make sure your eyelid is primed and ready to apply your eyeliner as you usually would. The simplest way to start this look if you haven’t done it before is, to begin with your regular cat eye. The difference is that this time you’ll want to start the line from just below the inner corner of your eye rather than above it. Using a liquid liner, draw a solid line from the inner corner of your eye into a flick at the outer corner. Once this is done and you’re happy with it, you simply need to join up the two ends by following from one point to the other along the curve of your bottom lash line. Finish off by filling in your eyebrows with a darker pencil than usual to really frame your eyes. 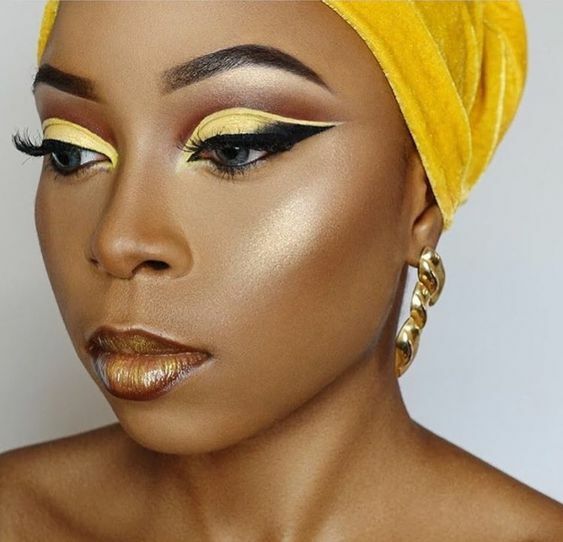 This technique is the perfect way to bring the Cleopatra look right up to date. It keeps all of the fundamental elements such as the dark eyeliner and brows, but using straighter lines and a softer palette on the lid, it becomes more subtle and ultimately more wearable for a contemporary woman. Apply a soft shade of eyeshadow such as a cream or a pale yellow to primed lids. Next, use a light blue crayon liner to draw along your bottom lashes in a straight line extending out past where your eyes naturally end on each side. Make sure to select a pencil with a high shine pigment to give your look a lift and bring out your eye color. Using a jet black liquid liner, draw a line directly underneath the blue you just applied so that the lines are touching, start thin and gradually thicken the line out as you get towards the outer corner of your eye. Finish this look with a dense pair of false lashes and a slick of mascara to make sure your natural lashes match up. Follow in the footsteps of the lady herself and cause a stir with this striking, bold take on the Cleopatra trend. Starting with your lids primed, apply a shimmery yellow shadow up to the natural crease of your eyelid. Then, using makeup tape, create a line that follows down from your eyebrow to just below the inner corner of your eye. Use this line to create a thick section of dark blue from your eyelid crease to your eyebrow, just up to halfway over your lid. From there, use a lighter blue shade to extend towards where your cat eye flick will be. Blend the two blues where they meet and highlight just under the brow bone with a shimmery silver shadow. Apply your regular cat eyeliner and lots of black mascara. Lastly, following your bottom lash line, draw a thick black line roughly half a centimeter underneath your eye, adding in some diagonal flicks. Finish off with sporadic, press on crystals in the gap between the two lines of liquid liner. Frame your eyes with dramatic brows. If you normally use a lighter color, switch out your usual eyebrow pencil for a black one and have some fun with this adventurous look! Using your brow pencil, draw a straight line along the side of your nose from just below the inner corner of your eye to the top of your brow. Continue drawing that line along the top of your eyebrow into a large flick on to your forehead up towards your hairline. Once that’s done, follow the flick down diagonally to the bottom of your brow, then along to meet where your first started. Now that you have the shape outlined, go ahead and fill it in with your brow pencil and finish off with a shimmery, gold cream eyeshadow. 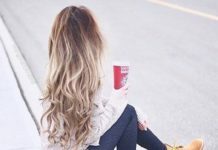 Don’t be afraid to go big with this look! Try a color variation on the classic Cleopatra blues and golds with this striking red alternative! Choose a deep, almost maroon shade of red to achieve this look. Use the eyeshadow all over your lid and blend out above your eyelid crease. Then go in with a fluffy brush, sweeping the color under the bottom lash line to surround the eye. Create a cat eye flick and make sure to include a lengthened dip downwards when you get to the inner corner to lengthen the line and give the recognized Cleopatra-esk shape. Finish with false lashes and if you want to be really bold, use a red eyeliner pencil to color your brows too! This is a classic take on the Cleopatra look. With the absence of blue or turquoise shades, however, it cleverly appears as something refreshingly new. As before, cover your entire eyelid right up to the brow bone in a densely pigmented gold eyeshadow, making sure to highlight the inner corner of your eye as you go. 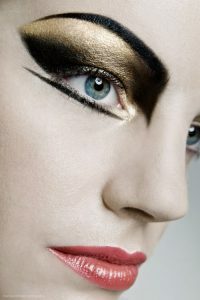 Then, using a matte black shadow, blend from either end inwards to create a dramatic shadow on either side of the eye. 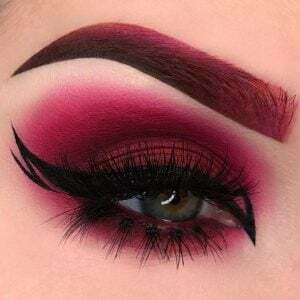 Finish off by using a black liner to define your brows and draw a straight horizontal line under the bottom lash line, thinning out at each end. You’ll need only a very small amount of mascara for this look. 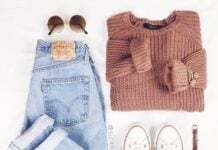 Go bright or go home! This bright yellow look is an amazing and certainly eye-catching variation of this trend. Make sure your eyes are primed and your brows filled into your liking with your regular eyebrow pencil or powder. Highlight under the brow bone then sweep a metallic eyeshadow into, and just above the crease on your eyelid. 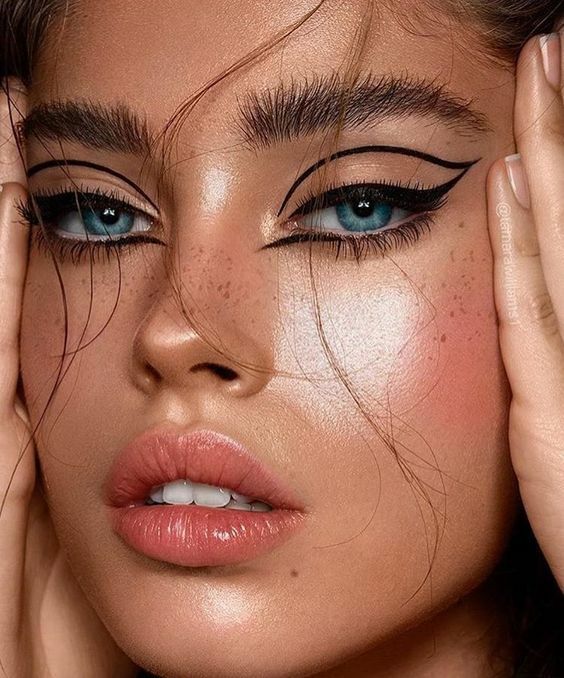 Now, using a yellow liquid liner, create a flick using your usual technique, this time however you’ll be drawing the flick in the crease of your eyelid as opposed to the lash line. Fill in the remainder of your lid using the yellow liner, leaving room to create a black cat eye flick along the lash line. Once that’s completed, use a little black eyeshadow to blend the yellow and black flicks together. Finish with lots of black lengthening mascara and an opalescent lipstick. Cleopatra makeup looks don’t necessarily need to exactly replicate makeup that Cleopatra wore herself, it may, of course, be a little much for a modern-day outing. Try instead taking inspiration from it and adapting it to fit you, just like this liquid liner look! Honestly, this one is pretty simple. Using makeup tape, create a long straight line of liquid liner, just slightly away from the outer tip of your eyebrow to the outer corner of your eye. Then two more roughly half a centimeter below that line. 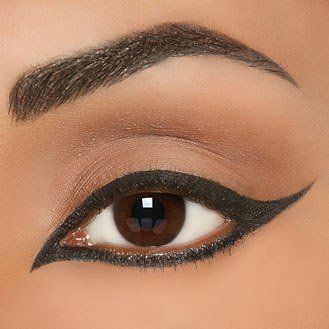 Now, fill in the rest of your original flick and still using your liquid liner, cover the rest of your lid, making sure to draw around the inner corner of your eye to get that signature Cleopatra look! Voila, that’s all! This is a much more subtle take on this look and one you could most definitely wear to a number of formal occasions! Prime your lids and sweep a light dusting of brown eyeshadow into the crease for definition. 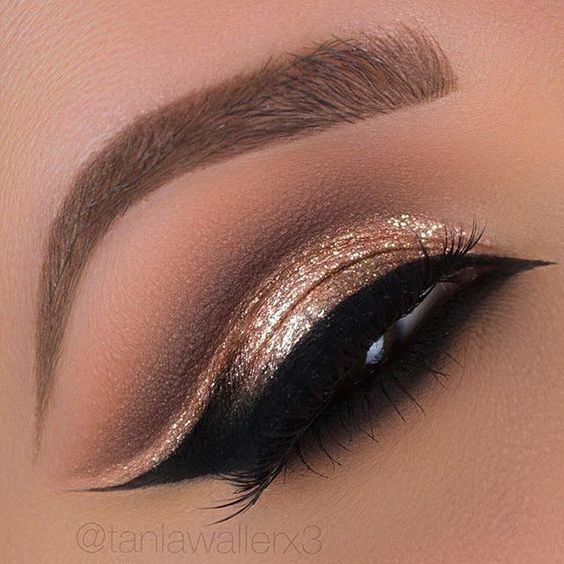 Next, use a gold glitter shadow on your lid to add some sparkle! Use a dark black eyeshadow and sweep a thin line under your bottom lash line to create the sultry, Cleopatra effect. Lastly, fill in your brows as desired, then simply create a standard sized cat eye flick, whatever size you would normally wear and feel comfortable with. It’s that simple! Besides the jet black eyeliner, Cleopatra makeup is all about the vibrant blues and greens. Try creating your look using blue and turquoise glitters for some extra party sparkle! Fill in your brows for this look in a slightly darker shade than normal to frame your handy work. Use a black or dark grey eyeshadow to emphasize the crease, then dust a light cream or gold shadow over the rest of the lid. Create a cat eye flick and apply false lashes. Now, where this look really shines (pun intended), is the use of glitter below the bottom lash line. 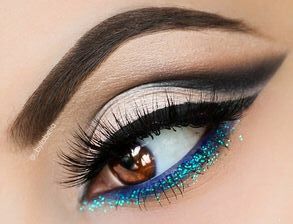 Use a blue liner inside the eye along the water line, then use a turquoise or green glitter underneath the bottom lashes. This is such a pretty look and the glitter will really bring out the color of your eyes. How stunning is this makeup look! Modernise your cleoptra look with this unique eyeliner design and shimmer.